Every once in a while in the history of a sport, something happens that changes it forever. It could be the debut of a special player like Tiger Woods, whose superhuman driving abilities changed the way golf was played. Or perhaps it could be improvements in equipment, such as the introduction of graphite rackets that transformed tennis into a game dominated by top-spin. Rule changes play their part too. Dribbling, for example, became somewhat obsolete in hockey once the offside rule was abandoned. No sport is immune from the metamorphic effects of time and cricket, in particular, has been influenced by its players, officials and fans many times through its glorious history. It stopped being a game of polite gentlemen post the Bodyline series. It no longer comprised solely of dull defensive strokes after the advent of one-day cricket. However, the sport received its strongest nudge towards the current era of batting dominance on the 12th of March in 2006 when South Africa successfully chased 434 runs in 49.5 overs. Let’s say that again. South Africa successfully chased 434 runs in 49.5 overs. They beat Australia, whose bowling line-up was led by Brett Lee, with a display of batting that even after 11 years seems as incredible as it is impossible. But before we talk about the chase, we must lay a few wreaths of deserved tribute against Australia’s innings. The Wanderers stadium in Johannesburg has always been favourable to batsmen. Its bounce is true and its oval shape tempts ball smashers with a deliciously short boundary square of the wicket. 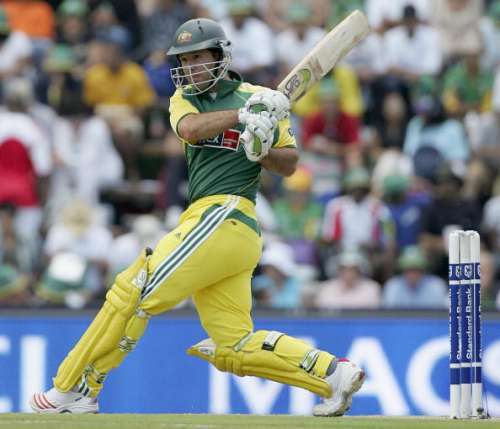 Still, even in games played in local parks by the most fearsome neighbourhood hitters, no one expects a bowling attack to be destroyed the way Ricky Ponting demolished South Africa. In the past, he had already displayed an affinity towards the Johannesburg pitch by batting India out of the 2003 World Cup finals but this time he went a step further. He pulled the ball across the shorter square boundaries and he drove it past the longer straight ropes like he was playing against four-year-olds. With nine sixes and 13 fours, he scored 164 runs in only 105 balls and put on his greatest exhibition of batting. Runs don’t come that freely even in book-cricket. Every ball was dispatched with disrespect; most were treated with contempt. Following their captain’s lead, all four players in the Kangaroo top order got half centuries. Andrew Symonds played a cameo in the last few overs, helping Australia erect the tallest skyline ever in ODIs. By the time the onslaught ended, the Proteas must have wanted to dig a hole in the pitch and crawl into it. Graeme Smith was their least expensive bowler, giving away 7.25 runs an over.